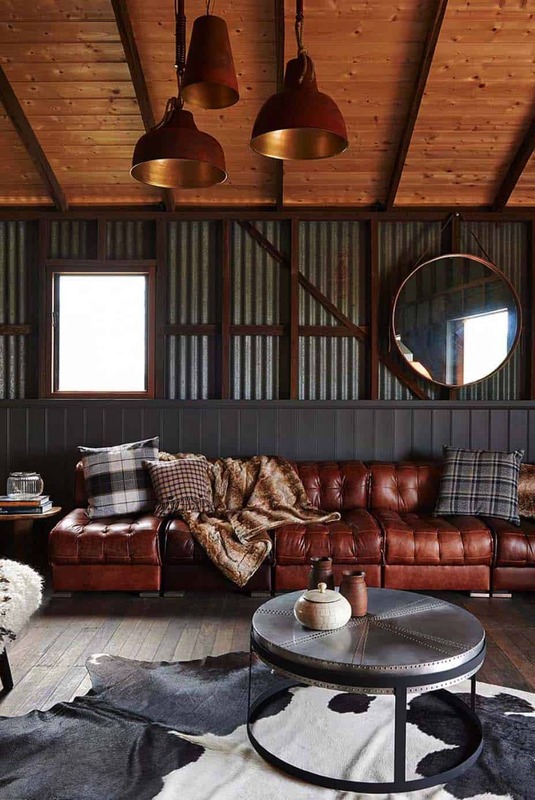 This modern barn conversion features rustic-luxe details, conceived by architecture studio Built by Wilson, located in the countryside of Victoria, Australia. 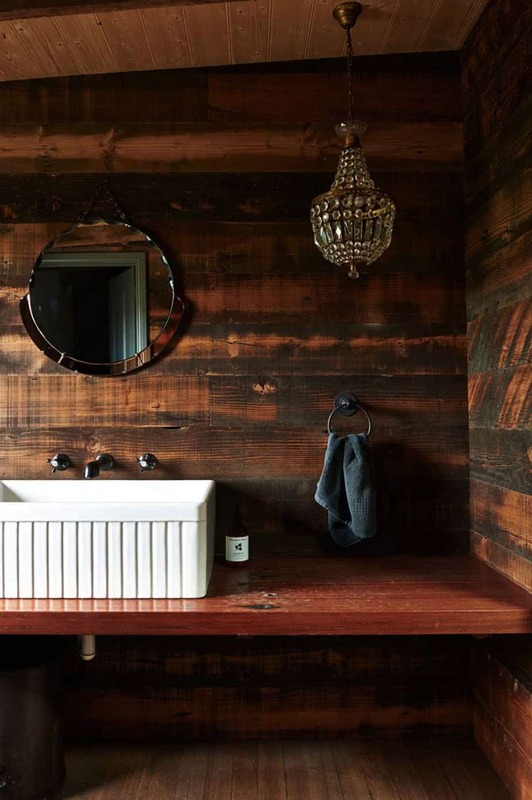 This old barn breathes new life, one that is more luxurious than its past life. There is great attention to detail throughout the interiors, with plenty of preserved features. 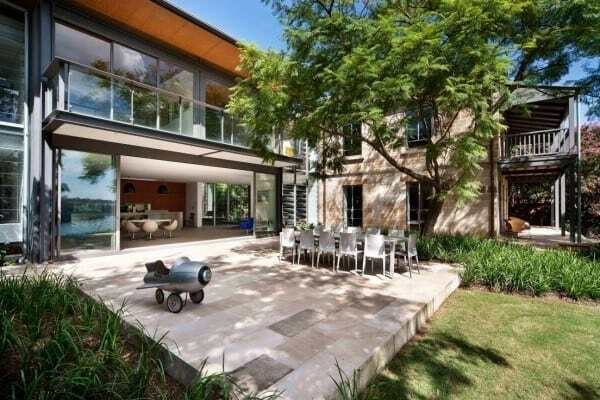 The exterior features corrugated metal and wood, with sliding barns doors providing access to the inside. Wood flooring can be found throughout the main living spaces, adding to the rustic aesthetic. 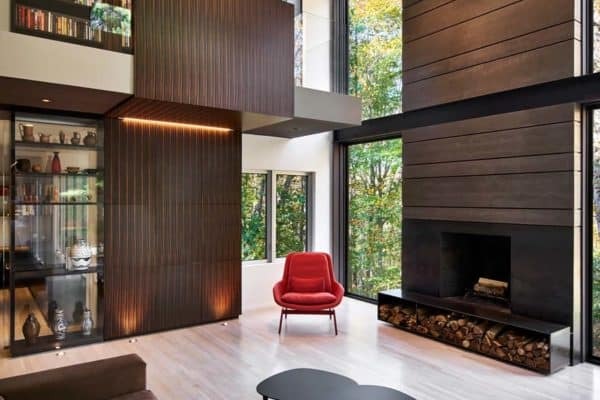 Exposed wood beams and soaring ceilings keeps the interiors feeling bright and airy. 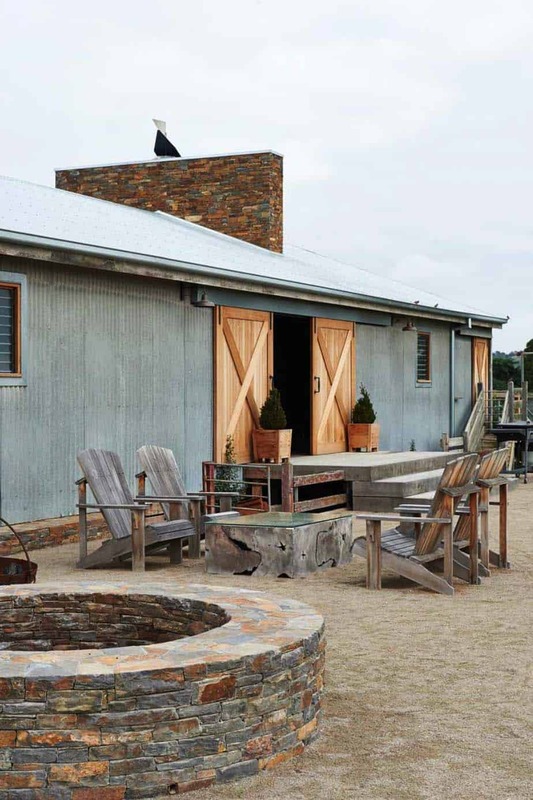 Once a place of work on the farm, is now a space to relax, unwind and celebrate life. In the kitchen, a single wall of cabinetry keeps the room open and spacious. 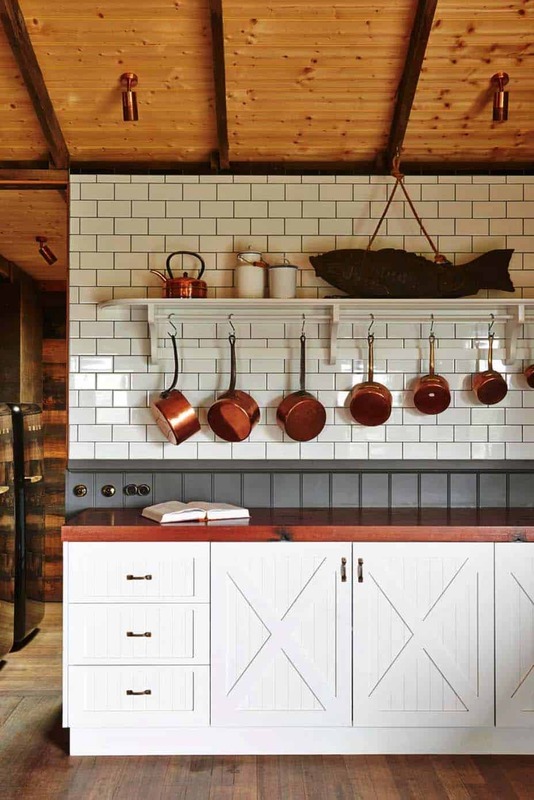 White kitchen cabinets and subway tile backsplash stands out against the wood and corrugated metal. An expansive dining table in the kitchen area provides plenty of space of entertain family and friends. 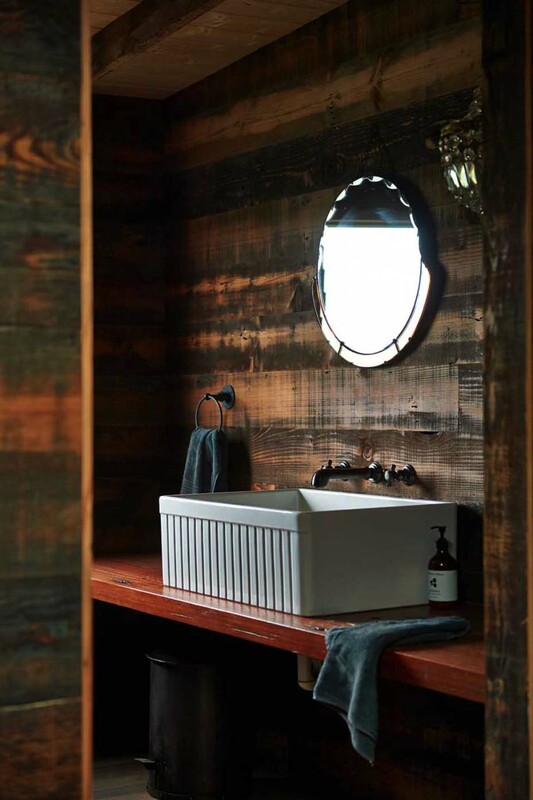 Material elements of corrugated metal, reclaimed timbers and stone are softened by leathers, cow hide and wool fabrics. 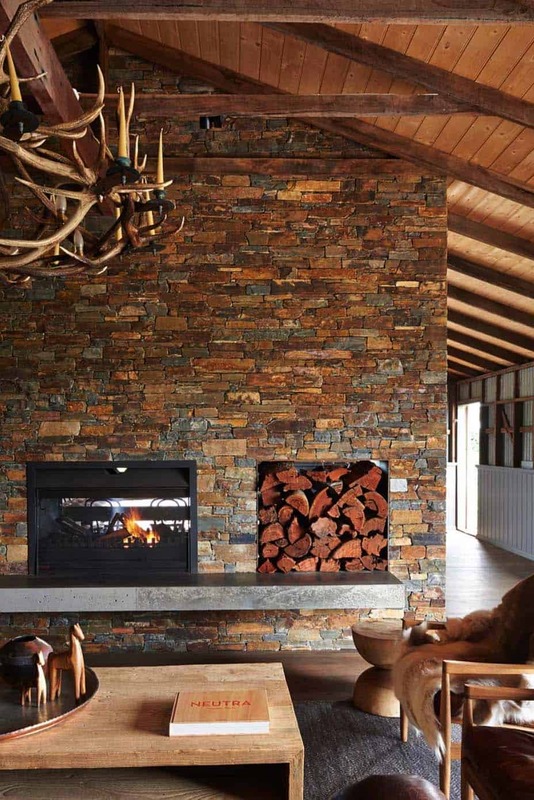 A floor-to-ceiling stacked stone fireplace double-sided creates an eye-catching focal point to the living room. The fireplace separates the living room from the dining and kitchen area. 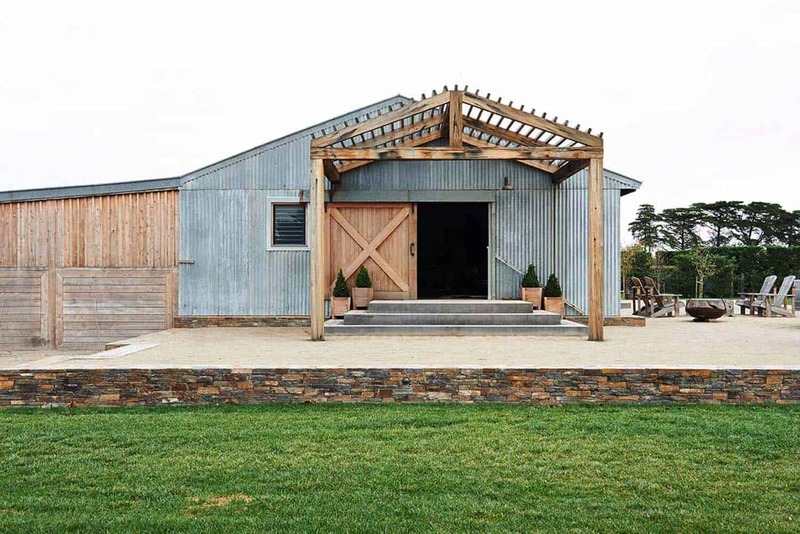 What We Love: This architecturally striking modern barn conversion features rough-luxe details and exquisite preservation both indoors and out. With an open and spacious floor plan with minimal dividing walls, spaces flow effortlessly from one to the next. 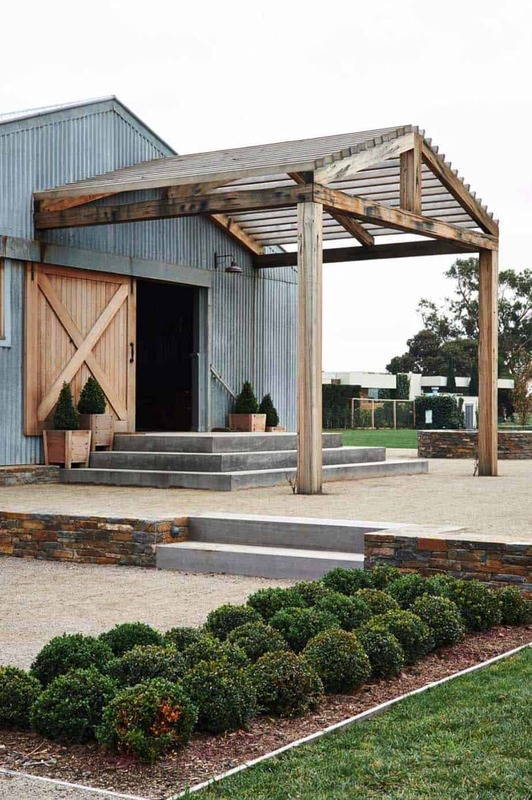 After touring this home, who wouldn’t consider renovating a barn and living a relaxed lifestyle? 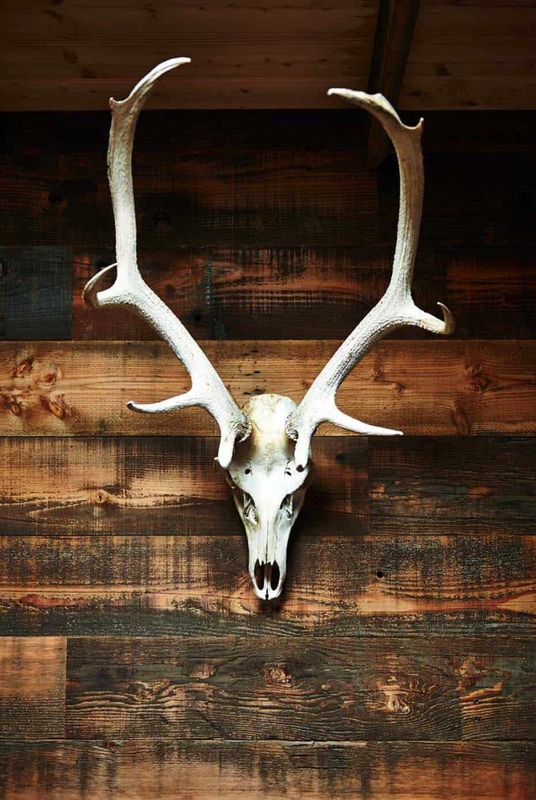 The modern-rustic aesthetic is warm and cozy and there is nothing better than some fresh country air! 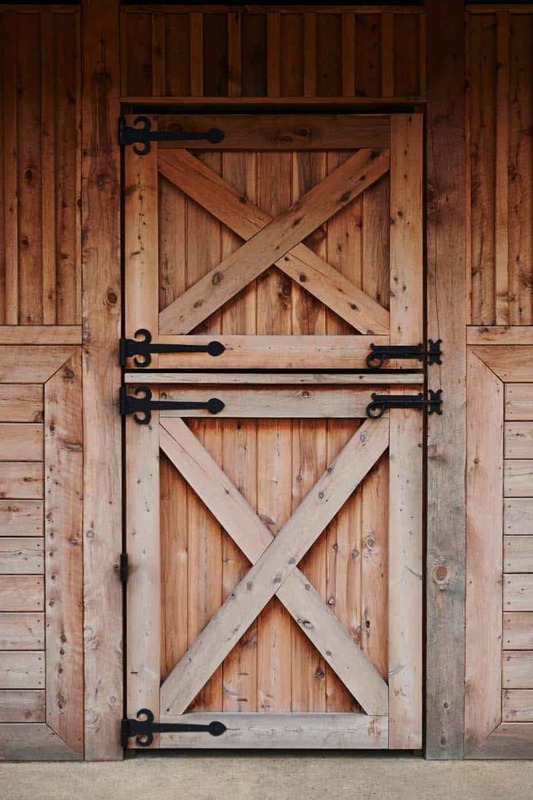 Readers, what are your thoughts, would you consider renovating an old barn and living in it? 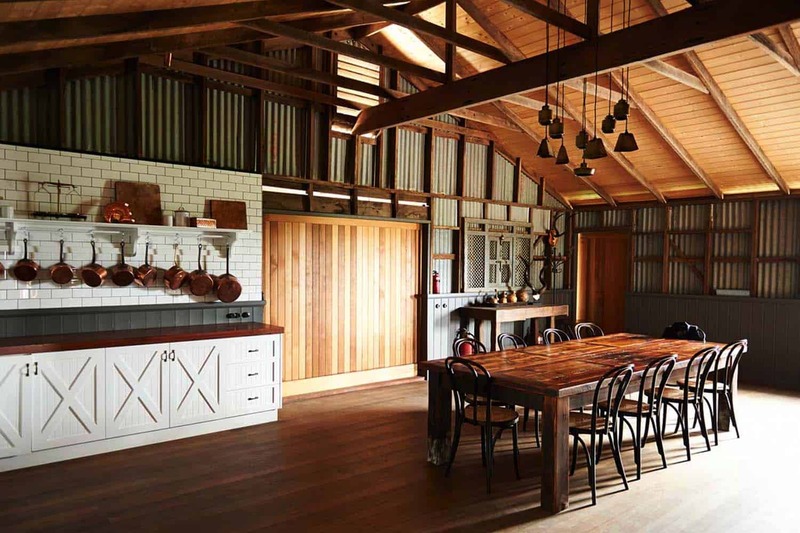 Do you think the architects did a good job of renovating and preserving this old barn? Please let us know your thoughts and opinions in the comments below. This is stunningly beautiful, i love the look of the exposed corrugated iron but i do have a question about where the insulation is? Victoria Australia is really hot in Summer and very cold in winter.